Are you a mountain lover and beach lover? Can´t decide which destination in Costa Rica to settle on? Get the best of both worlds on our overnight Tortuga Island Tour and Monteverde Tour combo. Take a catamaran boat cruise through the Gulf of Nicoya, sink your toes in the white sand beaches of Tortuga Island then experience the Cloud Forest in Monteverde from 8 different hanging bridges in one spectacular overnight adventure in Costa Rica! Comfortable round trip transportation from Jaco, San Jose, or Guanacaste hotels including continental breakfast on board. Gulf of Nicoya Bay Cruise through Costa Rica´s most scenic region aboard one of our catamaran boats with music, snacks and beverages on board. Enjoy free time at Tortuga Island to walk through nature trails looking out for wildlife, participate in some watersports activities (optional), or just relax on Costa Rica´s most beautiful white sandy beaches of Isla Tortuga. 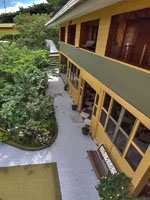 Journey to Costa Rica´s 7th Natural Wonder, Monteverde and beautiful accommodations in the cloud forest. Experience the famous Monteverde Hanging Bridges on a guided tour through the cloud forest. Throughout our beach and mountain expedition, quality meals, snacks and beverages will be provided throughout the day. 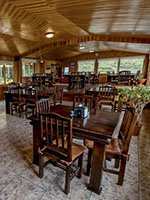 We will be arriving to Monteverde in the evenings where you will have free time to explore this peaceful environmentally friendly village nestled in the Costa Rica cloud forest. There´s no need to make yourself chose between the mountains or beaches in Costa Rica when you can have it all! Secluded white sandy beaches of Tortuga Island by day, sleep nestled in the cloud forest of Monteverde by night. 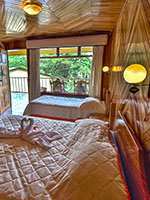 The most complete overnight tour in Costa Rica. Book your discounted Tortuga Island and Monteverde Overnight adventure today with The Real Deal Tours! * 7:00 AM: Breakfast snack served on the bus. * 8:30 AM: Arrive to Puntarenas. * 10:30 AM: Depart for Tortuga Island. * 1:00 AM: Lunch on the island. * 4:00 PM: Depart Tortuga Island. * 6:00 PM: Arrive to Puntarenas. * 6:10 PM: Transfer to Monteverde. 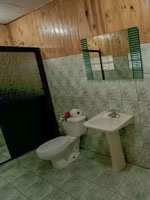 * 8:00 PM: Arrive to Monteverde to Cabinas Don Taco or Heliconias Hotel; evening free. For the following day, we will coordinate the time of the hanging bridges tour. * 1:30 PM: Depart for San José. * 6:00 PM: Approximate arrival to San José. Departures: Wednesday, Friday, Saturday and Sunday at 6:00 AM. Tortuga Island Tour & Monteverde Overnight Combo Tour deposit is $22.00 per Adult. Tortuga Island Tour & Monteverde Overnight Combo Tour deposit is $32.00 per Adult.